The world of Biofabrication is being shaped by a multiplicity of researchers from design, biology and technology via industry, academia and open source communities. Bio-innovation is emerging from biotech startups, biohacker groups and collaborative initiatives, to research-led design studios, artists and finally consumer brands driving new thinking around sustainability. 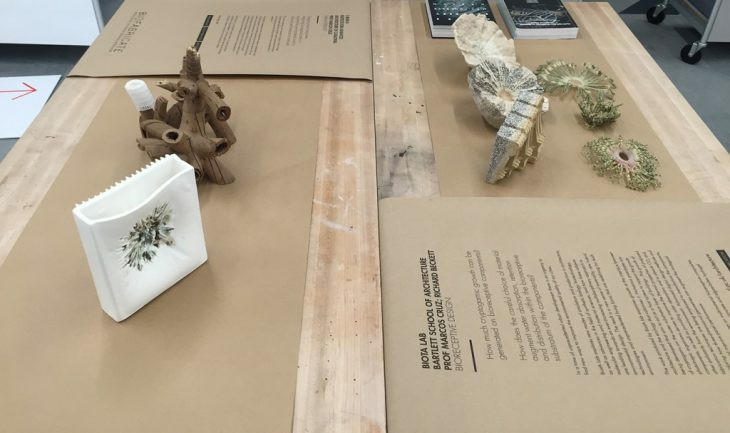 Biofabricate is the annual summit for this emerging world of grown materials. 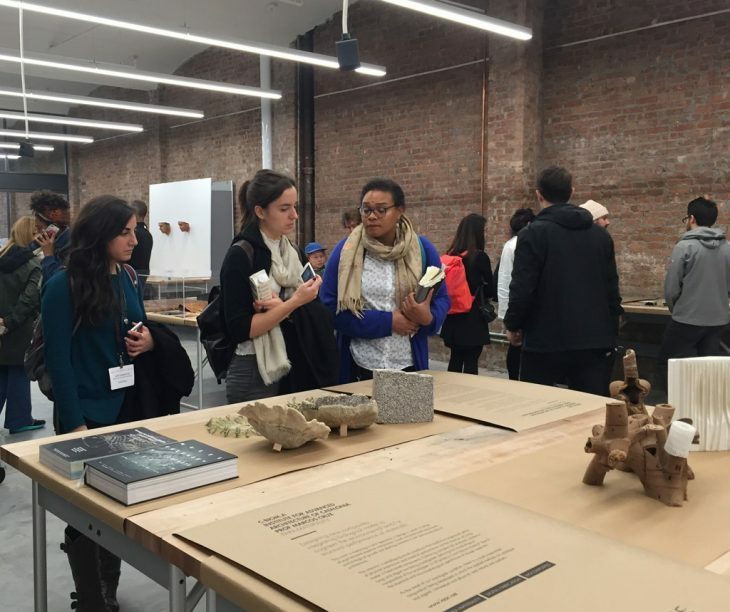 This year it has been hosted by Parsons School of Design in New York City. From yeast and bacteria to mushrooms and mammalian cells, international attendees could discover disruptive research, and companies, growing the materials of the future. 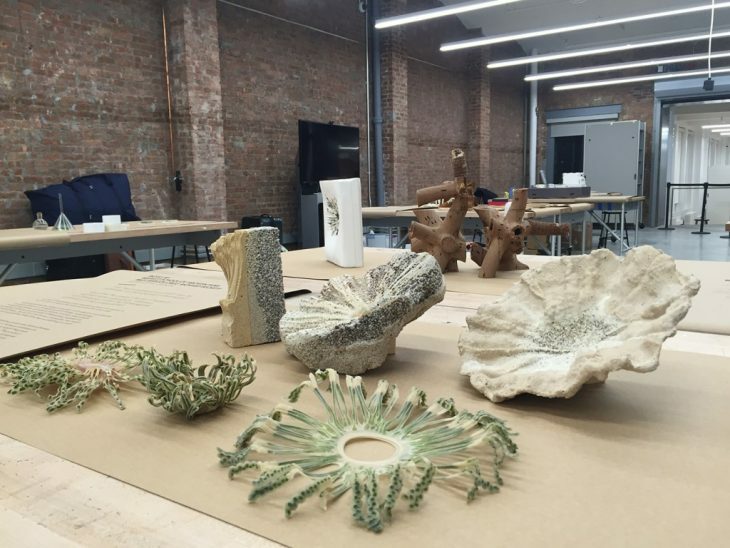 From architecture to apparel, the Biofabricate event aims to show how biotechnology is facilitating a new material revolution. Two projects developed in the framework of the C-Biom.A MAA02 studio led by Professor Marcos Cruz at IAAC have been exhibited at the international gathering: Responsive Manifolds by Nina Jotanovic and Bio-scaffold by Natalie Alima. The C-Biom.A studio at the Institute of Advanced Architecture of Catalonia is an Academic collaboration with the BiotA Lab of the Bartlett School of Architecture, an innovative design research platform that merges architecture, biology and engineering also led by Marcos Cruz.